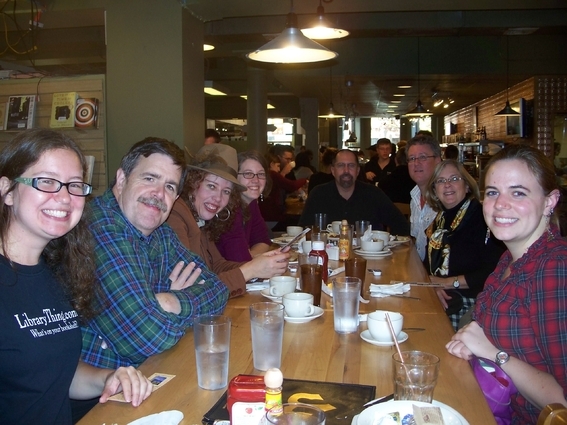 The Boston meetup on Saturday was a grand time of book shopping, food, and LT discussions! 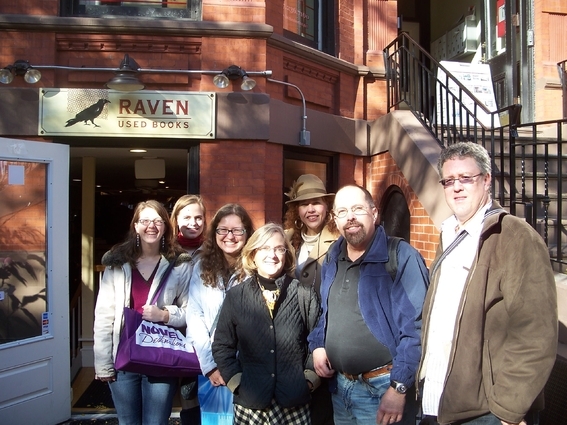 The day started off with brunch at at Trident Booksellers and Cafe on Newbury Street, then a stop at Raven Used Books’ Newbury Street shop before we headed over to the Boston International Antiquarian Book Fair for a look around. During the afternoon we visited the Brattle Book Shop and Commonwealth Books, and then we trekked out to Cambridge and visited Harvard Bookstore and the Raven location on JFK Street. We convened at the Hong Kong for dinner to cap off a long but delightful day (Tim and _Zoe_ even shared a Peking duck). We very much enjoyed being able to put faces to LibraryThing usernames, and were so pleased that folks were willing to travel so far: we had a good contingent from the Boston area and Western Massachusetts, _Zoe_ came up from New York, and norabelle414 wins the distance prize; she came up from D.C. for the meetup! We hope to do more meetups like this one, so if you’re interested in future events, join the LibraryThing Gatherings and Meetup group, or stay tuned to the blog for future announcements! For more pictures from the weekend, see the gallery (or add your own by tagging your images “Boston 2011″ and “meetup”). I hope there’s another one – I just couldn’t get up the energy to drive over from W.Mass, still recovering from a trip to England. I really did want to be there.